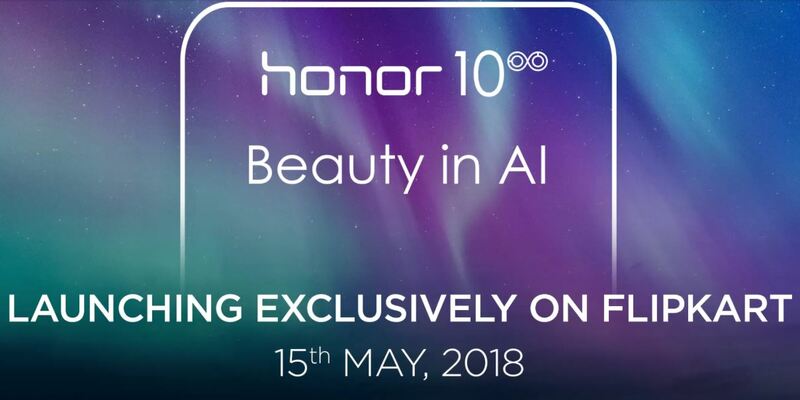 Honor, the e-brand of Huawei, today announced that the next smartphone with a dual camera powered by AI-Honor 10, will be available exclusively on Flipkart starting midnight on May 16, 2018. Honor 10 was recently unveiled in China and will be launched globally on May 15 in London. 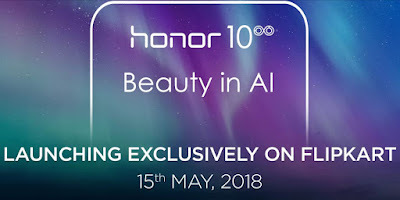 Embodying the slogan 'Beauty in AI', Honor 10 is Honor's flagship device in 2018 which brings two major ground-breaking and industry leading smartphone technologies to consumers: The advanced AI 2.0 Technology and the new CMF Design Technology which shapes the phone into a real beauty. Huawei and Honor have always believed in revolutionizing the technology with its innovative devices, particularly with its smartphone cameras. The Honor 10's AI capability will be a pioneer and a landmark step in smartphone photography. This is thanks to the major breakthrough of the independent NPU in the Kirin 970 chipset, plus the Semantic Image Segmentation technology. The Honor 10 will be the 3rd generation AI device from Huawei/Honor and will be leveraging the success of its predecessors. The Honor 10 will zero in the AI technology on photography and include functions like scene recognition, semantic image segmentation, high optical zooms, ultra-fast shutter speed, portrait mode and portrait Bokeh effect. Catering to a young and brave generation of today's era, Honor recently emerged as one of the fastest growing smartphone brands in India in Q1 2018, entering the top 5 bracket. The brand with its India-first-approach registered an unprecedented growth of 146% owing to strong performance of its recently launched smartphones and captured the fifth position with 3% market share in the Indian smartphone market. As a brand born for the young generation, Honor wants to inspire and motivate the soul of our users to see and to enjoy the world with their own interpretations. With it's commitment to choice, Honor provides a world of possibilities for digital natives, allowing them to explore their way of life without limits. For more information about the Honor, check out Flipkart.com and don't forget to watch the live cast of the London launch here.